This post will be updated whenever new information is available. Keep refreshing to check for new information. There is currently a power cut affecting the eastern end of Coburg Crescent and Chalner House. This has been reported by PRERA to UK Power Networks (UKPN): reference number CALL-400471-J. If you know of anyone affected who is particularly vulnerable, please call 0800 316 3105 to speak to UK Power Networks and report this information. UKPN have given an update: Engineers have been despatched and are on their way. We will be informed once we have a timeframe for the electricity coming back on. The incident reference number is INCD-21292-M.
UKPN say that the engineers are still on their way. They believe the fault is at the local substation. For this type of fault the would expect a fix between 18:00 and 19:00. However, they will have a clearer idea once the engineers are on site. Engineers have arrived on site and the electricity appears to have been restored. UKPN report that they think the problem was a blown fuse! For more information, see http://bit.ly/1HtMb2g. UKPN have sent an update: The fault is in part of their underground cabling and this has affected the substation equipment. A specialist team is on its way to dig down and find the fault. UKPN estimate that this work will be complete between 22:30 and 23:30. So, if you have electricity at the moment, it may well go off again later this evening. 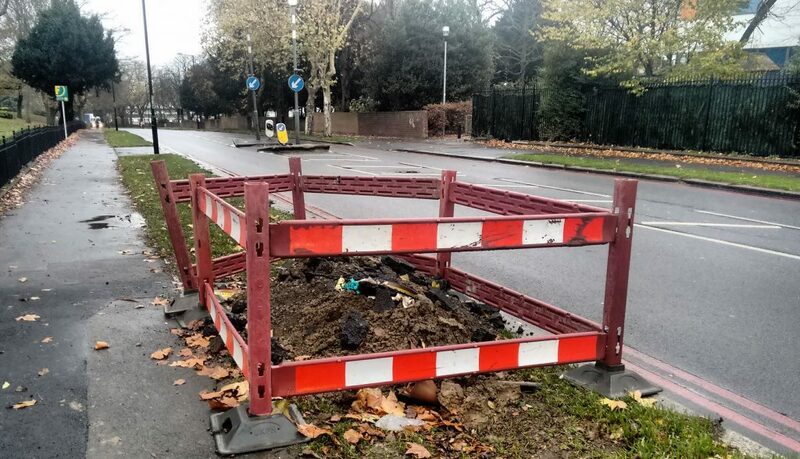 UKPN update: The engineers have located the fault and are digging down to expose the cable. The estimate for completion of the work is now sometime between 23:30 and 00:30. The engineers have now routed power around the fault, so overyone’s electricity should be back on. If you still don’t have electricity, call 0800 316 3105.